Ewao.com | About a week ago, Denmark made the absolute most out of a particularly windy 24 hours by harnessing its power and producing not only all of its own electricity needs for the day, but enough extra to spread between three neighboring countries. To be exact, the sustainable wind-power technologies harnessed and collected 144% of one days electricity needs. 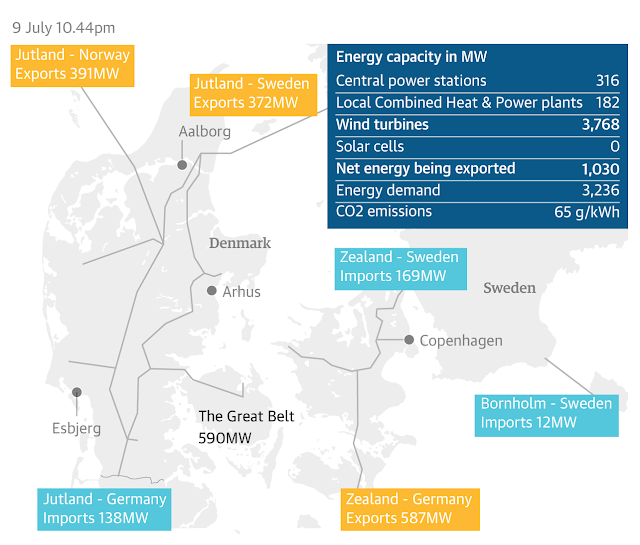 Denmark had previously developed its wind-power plants but on that particularly windy day, it reached 116% of its domestic electricity demands through wind farms and then exceeded even that impressive surplus, reaching 140%, causing Denmark to export excess power to Norway, Germany, and Sweden. 80% of the excess energy surplus was given in equal parts to Norway and Germany and Sweden received the remaining 20%. Germany and Norway possess hydropower systems with storage capabilities and were thus able to store the extra away for later use. Take a look at this graphic below which reveals that on the day when 140% of the power needs were produced, the systems weren’t even functioning at 100% of their potential power. The Danish transmission systems operator, emergent.dk provides minute by minute constant reading of the renewable power in the national grid system provided this information, saying that the full capacity is 4.8GW. This is quite amazing. 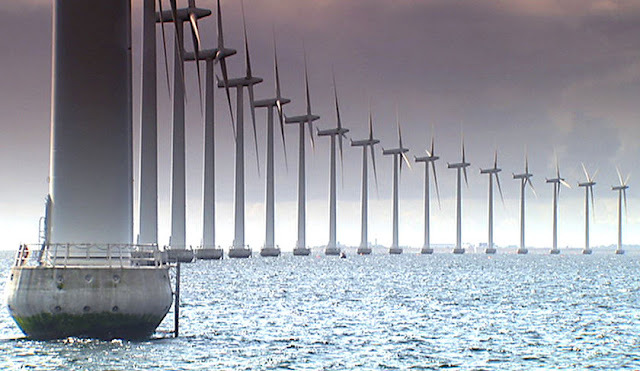 Denmark possesses excellent potential to be the next European country in line to begin relying heavily on wind power. Chief Commercial Officer of the Ecofys Energy Consultancy, Kees Van der Leun commented that there’s a current surge in the development of wind farms being installed. He projected that by 2020, Denmark is well on its way to potentially producing half of its electricity from renewables. 5 years away seems like nothing! Though many are celebrating with Denmark’s impressive achievements, a little healthy competition never hurts- in fact it could be a momentous force in the wave of renewable power source development in Europe overall. The Guardian explains that the British may view Denmark’s wind power developments as a threat to its own wind industry. Approximately 75% of Denmark’s wind power capacity is currently coming from onshore wind farms which are strongly supported by the government. This could certainly be one instance where competition could move things in a direction that is beneficial for the well-being of the earth, as well as for all the inhabitants of her. It’s a bit mind boggling to see so clearly how attainable sustainable power sources really are, and to then look around at the constant fossil fuels we are burning through as if they are inexhaustible. Kudos to Denmark for being yet another European country leading the way when it comes to development and implementation of sustainable and green technologies. Let’s hope the rest of the world catches up soon.